Back in August we held our Snapshot Day. On this day patrons are asked why they visit the library. 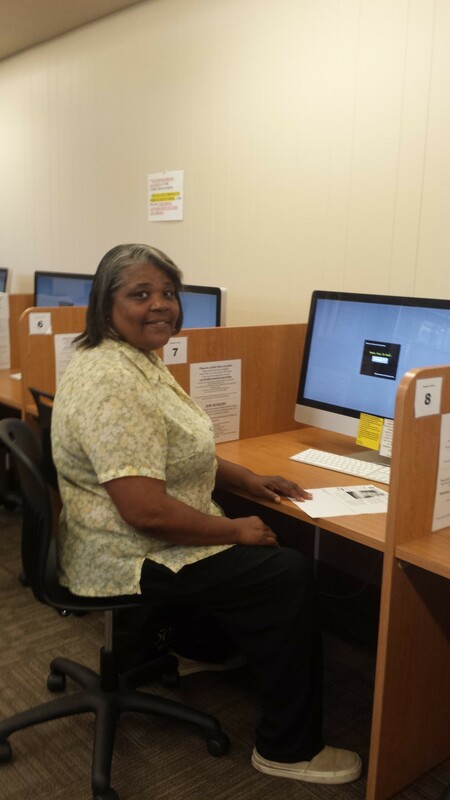 In this picture is Ms. Cynthia Porter who is a regular visitor here at the library. Ms. Cynthia also attends our Basic Computer Classes. Thank you for using the library as your source for information.